The project has a duration of 3 months and consist of organizing various interactive workshops with the participation of leading organizations and stakeholders from OIC countries. The Workshop will explore the status and needs of the OIC countries and design a roadmap to help them create strategies to develop their workforce and economies to increase the potential of digitalization. Digitalization and the changing nature of work are rapidly transforming economies around the world. In the developed countries, 47% of the workforce faces the risk of being replaced by technology. However, the risk of automation varies significantly across countries. The variance of this risk between countries is partially due to variations in sectoral structure, but mostly due to the way countries organize work and specific tasks within a given sector. For the OIC countries to adopt and implement a digital model of development, they need to fully understand the relationship between digitalization, digital skills, and vocational education and the way new technologies influence their respective economies. In this respect, the project aims to create a platform for OIC Countries to make them better understand the impacts, challenges, and opportunities of the new concept of work, to identify best practices in digital skill development and increase the capacity of the participants attending from relevant Ministries and/or Digital Transformation Platforms of the OIC Countries. SESRIC will implement the project in partnership with the United Nations Development Programme Istanbul International Center for Private Sector in Development (UNDP IICPSD). 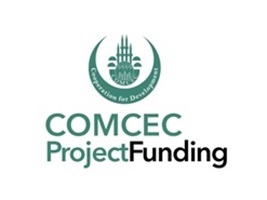 The COMCEC Coordination Office (CCO) in Turkey introduced in 2013 the COMCEC Project Funding (CPF), a financing mechanism that funds projects submitted by the Member Countries and relevant OIC Institutions to realize the strategic objectives and outcomes of the COMCEC Strategy. Several SESRIC projects have been financed by this funding scheme since 2014.